Marathon taking place August 17, 2014. 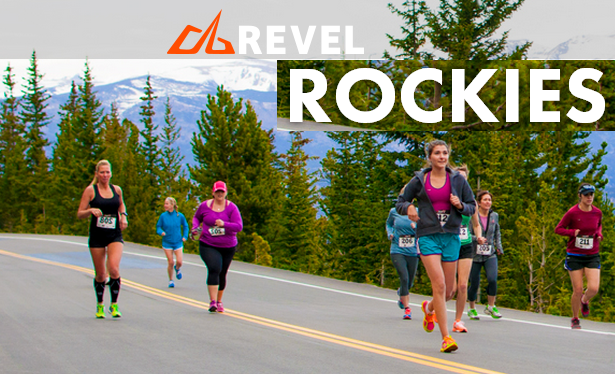 The Revel Rockies Marathon is incredibly fast and remarkably beautiful road race takes runners from the forests and canyons of the Rocky Mountains to the foothills of Denver. Featuring a perfectly smooth downhill slope and spectacular scenery, this race will be sure to help you set your PR and finally hit that Boston Qualifying time. REVEL in speed. REVEL in beauty. REVEL in the Rockies. Act quick! Contest closes Friday and the winner will be announced this Saturday! To enter, simply complete form below. Congrats to Winner Michele Oats!